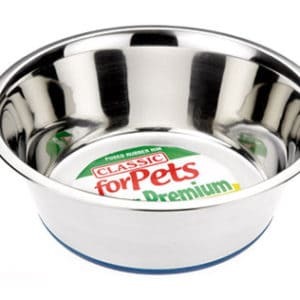 Top Quality Protein :Chicken-rich formulation, with Salmon and eggs, provides a superior amino acid balance for maximum athletic performance, without the need for fresh meat.. Muscle Development & Strength: High quality proteins, fats and other essential nutrients help maximise muscle function for extra strength and endurance. & phosphorous for strong bones. Panbonis herbal-active Vitamin D3 helps strenthen bones by improving bone mineralization. Skin, Coat and Joint Care: Omega-3-enriched precise blend of Omega oils, Glucosamine and MSM. 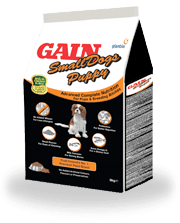 Good Digestion: Soluble fibres plus FOS (Prebiotic) gives small dry stools with reduced odour. complex (200mg/kg), Solanum glaucophyllum leaves dried (Panbonis), Products from the processing of plants. ■Protein Source: Fresh Chicken (never frozen) is the main ingredient. Other high quality proteins such as fish, eggs, gluten meal ensure the correct amino acid balance is acheived. ■Maintenance of Lean Muscle Mass: L-Carnitine is included to help maintain lean muscle mass, by reducing the deposition of body fat. ■Creatine Free: Creatine where used, is best fed as a separate supplement, to provide total control over dosage rate and timing of administration. 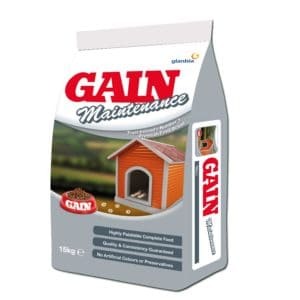 ■Optimum Energy Supply: An optimum energy supply is provided by the inclusion of brewers rice, maize, chicken fat and canola oil etc, which helps your dog maximise it’s acceleration and stamina throughout the race. ■Healthy Skin & Coat: Flaxseed, fish and canola oil are included to help maintain the correct Omega-6 to Omega-3 ratio, which helps the skin, coat, brain and vision. ■Skeletal Growth: The inclusion of TruCal (Glanbia’s unique source of highly available natural milk calcium) helps maintain strong bones and teeth. 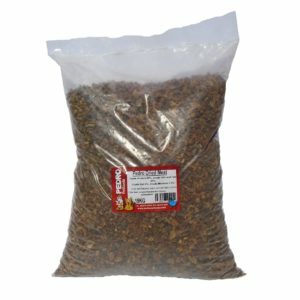 ■Low Ash Level: The patented low-ash manufacturing process increases digestibility and helps eliminate kidney problems. 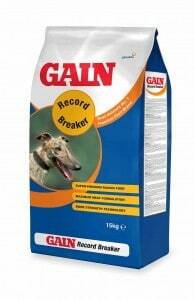 ■Ingredient Declaration: Gain® Record Breaker is the first greyhound racing diet to declare the full list of its ingredients.